I saw your son. His cochlear implant noticeable through his hair, stimming and overwhelmed by all the people and noise, I observed, hoping to find you – his mother. 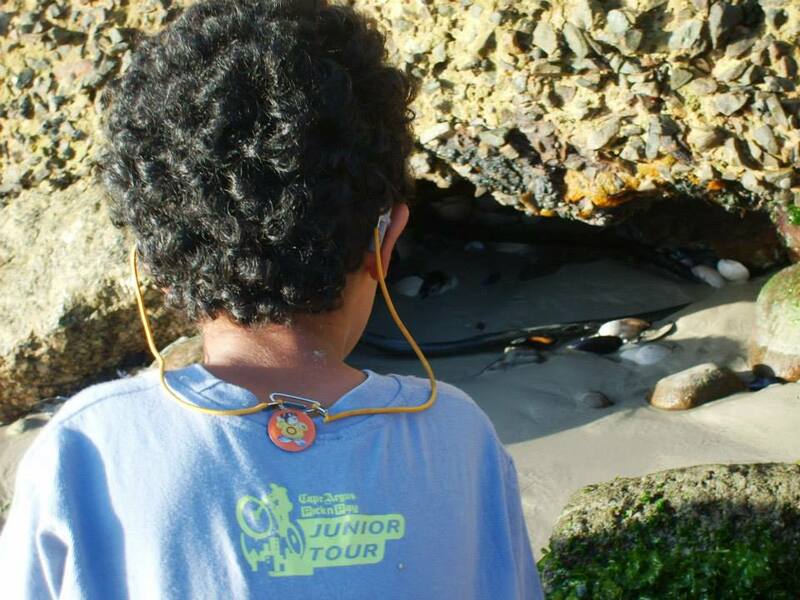 My own son, kitted in his wetsuit, his hearing aids packed away in the drawstring bag on my back. He too, overwhelmed by all the people mulling about as he stayed close to me. Finally, I saw you and plucked up the courage to approach you. I knew you had your hands full, but also noted that you had a friend with you, so thought it okay to walk on over and introduce myself. After all, it’s quite common for parents of kids with hearing loss to jump at the opportunity to speak to another “one of us”. It’s like finding that pot of gold at the end of the colourful rainbow! Our interaction was brief, not even five minutes. I explained that I just had to chat to you, it’s not every day you see another child with hearing technology at water sports. We touched on the usual, when the hearing loss was diagnosed, how long our children have been amplified and school. Then I mentioned the parent outreach that I started after my son left the special needs school for the deaf. In that moment, I didn’t quite get it. Here I was suggesting that we connect as parents of kids with hearing loss and your response was quite direct. It was very clear that whilst both our kids may have hearing loss, it does not necessary mean that you need to/want to connect with other parents who have kids with hearing loss. To this day our brief interaction is etched in my mind as if it was yesterday. I struggled to comprehend the reality of your response. How is it possible for someone to not want to connect with another parent whose child shared the “same” special needs as their own? Now, 3 years later, I get it! To you, the mom I met on the beach one sunny morning, thank you for your honest and direct response. Thank you for exposing me to your reality. Today, I am that mother . . .